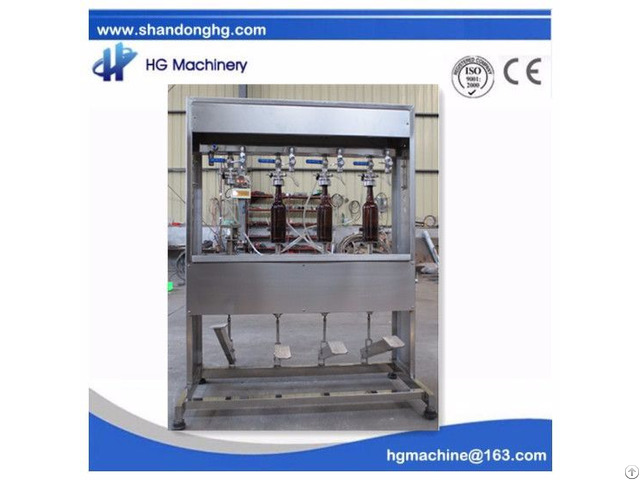 Our two heads isobaric beer filling machine is a patent product. 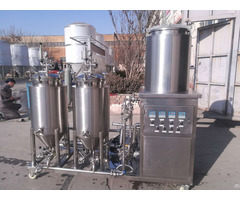 Its structure is simple and its operation is easy and convenient. It has two filling heads, so it has a high efficiency. 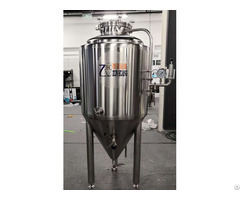 It’s the ideal choice for smaller brewery. Before filled, CO2 will be injected to the bottle to remove the air in the bottle so that there is no air in bottle. Besides, it has soft tray which has cylinder. So the tray can lift automatically to suitable for different bottles height. The fill will be automatically stopped when the level of beer get to the standard level. 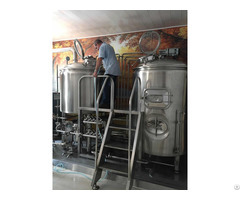 Business Description: Shandong HG Machinery Co., Ltd. specializes in designing, researching and manufacturing fully automatic and semi automatic beer, beverage and the other liquid production and filling line. Introducing German advanced technology and innovate on the technology, HG company becomes leader in domestic liquid package machinery industry and the most professional supplier for liquid production and package turnkey project.